The cold December has come and covered the Northern Hemisphere in white, but luckily Sapphire is still as hot as ever! 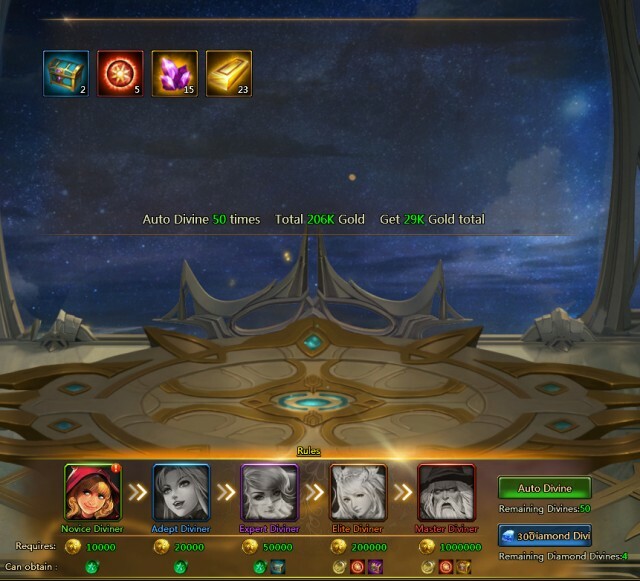 League of Angels II has a brand new Mount Progression System that is sure to fire up your winter with Mount Armaments, Mount Advance, Grace skills, and the Astral Divine system. Your Mounts will never be the same again! Arm your prized Mounts to the teeth and they will surely bring you victory on the battlefield! Introducing Armaments, armor and equipment exclusively designed for your Mounts! Each Mount can equip up to 4 different types of Armaments: Orb, Helm, Armor, and Reins. Each type offers different attributes: ATK, HP, PDEF, and MDEF. Armaments also come in several qualities: Uncommon, Epic, Rare, and Legendary. As the quality gets higher, the attributes they provide get better. Armament Enhance: The attributes of your Armaments can be improved through Enhancing. Additionally, players can unlock bonus attributes each time all 4 Armaments are enhanced 10 levels. Armament Augment: Augment uses Sunstones to greatly improves Armament attributes. Armament of higher quality will have a higher Augment cap. Additionally, players can unlock bonus attributes each time all 4 Armaments are Augmented 2 levels. Mount Guardianship: A Hero can be protected by a Mount in the new Guardianship system. 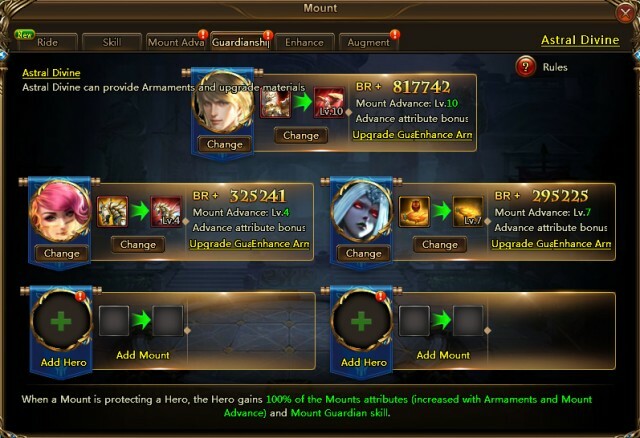 All attributes of the Mount from its Armaments will be added to the Hero they are protecting, greatly boosting their BR. 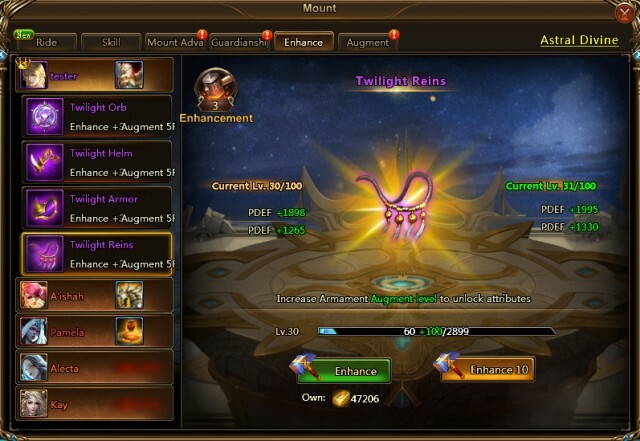 Additionally, each Mount has a special Grace Skill to buff your entire squad in battle! Mount Advance: This system uses Amethysts to improve Mount attributes by a percentage and also increases the level of their Grace skill. Where can you find the resources for Mount upgrades? From the new summon system: Astral Divine! Players can enable different “Diviners” with Gold or Diamonds and get all sorts of resources to deck out their Mounts! Each Diviner’s quality increases from left to right, as will the resources they provide. Every time you enable a Diviner, you have a chance to enable a better Diviner the next time you use Divine. Players can get Astral Seals by Divining, which can be spent in the Astral Shop. These new Mount progression systems will be available when players reach level 70. Take this opportunity to greatly improve your squad for the challenges ahead! 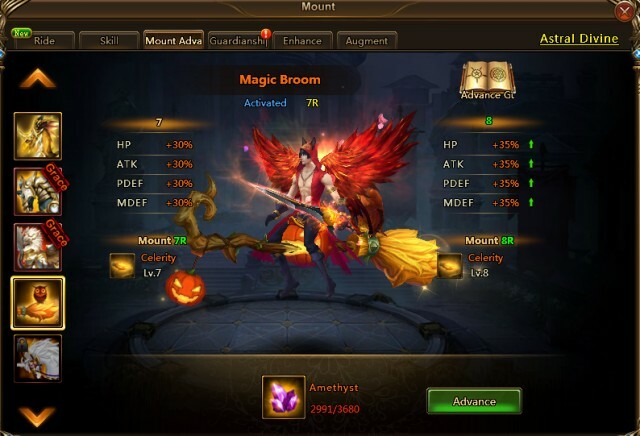 Play League of Angels II now and customize your Mounts in amazing new Armaments! Experience the best free to play MMORPG today!